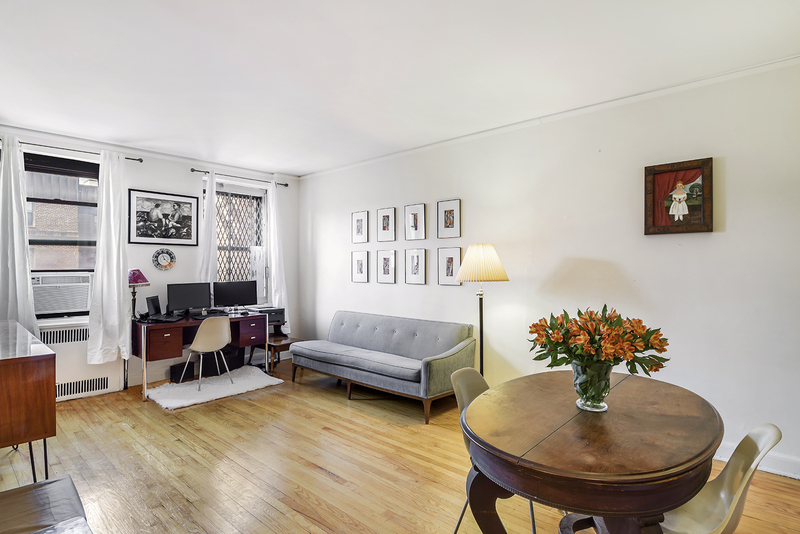 A lovely two-bedroom, one-bath co-op is available in a great location in the heart of historic Jackson Heights. This fifth floor Dunolly Gardens unit has a foyer, a large living room big enough for a dining area, original wood floors and great light. The windowed kitchen features stainless steel appliances, wood cabinets and stone counter tops. The windowed bath has been updated. The master bedroom fits a king size bed with double exposures, oversized windows and abundant closet space. 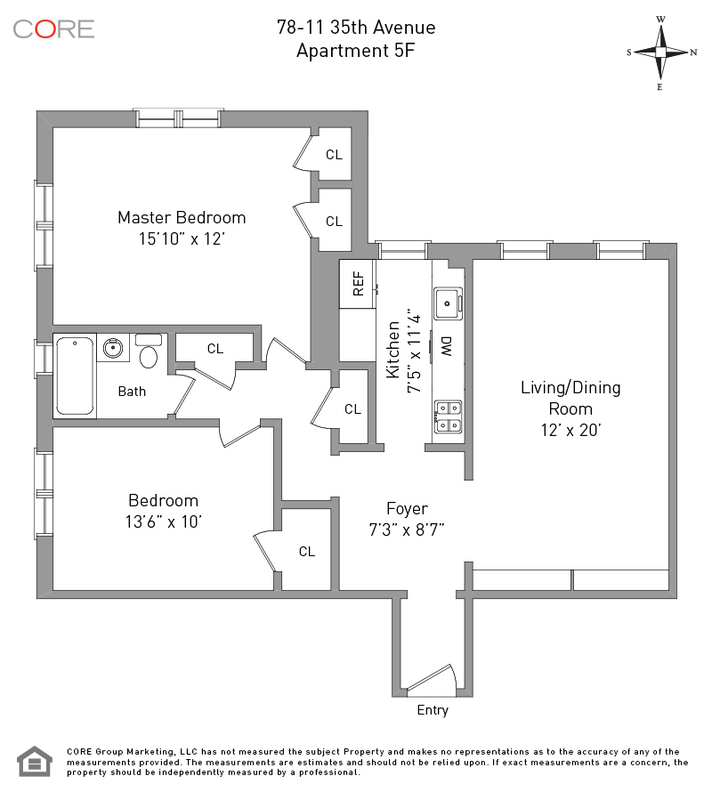 This pet friendly complex has a laundry room, on-site super and staff. The six Dunolly Gardens buildings surround the greenery of a grand block long garden with seating, picnic tables and majestic trees offering residents an escape from city life.